Marie McCourt knows the nightmare that Danielle Jones's family is going through. Her daughter Helen was murdered 15 years ago by pub landlord Ian Simms but her body has never been found. 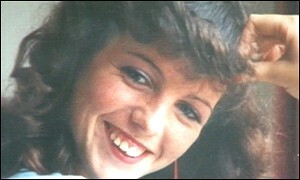 On the day 22-year-old Helen McCourt went missing, her mother had arranged to meet her from work in Liverpool. The plan was to go for lunch, then do a bit of shopping before driving back to their home in Billinge, a small village near St Helens on Merseyside. But severe gale-force winds caused Mrs McCourt to change her plans and instead of staying in Liverpool, she decided to go straight home. Later that afternoon, Helen phoned her mother and asked her if she could put her dinner on early because she had a date that evening. Shortly afterwards, she phoned again asking to borrow the car for a night out that weekend. Mrs McCourt laughed and said they would talk about it when she got home. It was the last time she would ever speak to her daughter. Helen never returned home from work and it signalled the beginning of a never-ending nightmare for her mother. Nearly 15 years later, Miss McCourt's body has never been found despite the fact pub landlord Ian Simms was tried and convicted of her murder 12 months after she disappeared. He is now serving a life sentence in Frankland Prison, County Durham. Mrs McCourt said: "It's an awful, awful thing when you can't bury your child. "It's like a tap drip, drip, dripping away on my head. I feel as if I am in limbo and can't move on. "I don't sleep very well and the first thing I do every morning when I wake up is put the news on just in case something has happened overnight. "Every time a body is found, regardless of where it is, there is that small glimmer of hope that maybe it is Helen. "When I hear about other families where children go missing, it brings it all back. "It never ever goes away, I could be driving past a field and be thinking that my poor daughter could be buried in that ground." Reliving that day in February 1988, Mrs McCourt said she instinctively knew something had happened to her daughter. "She was always very punctual. "I had heard that some trains had been cancelled because of the weather but when I got through to the railway station they said her train was fine. "That was when I panicked and knew something had happened. "The winds were terrible that night and I thought she had been hit by a piece of falling masonry. "Never in my worst nightmare did I imagine that she could have been murdered." She said the reality hit home when she made her first television appeal on the BBC. "When that first bulletin goes out it is horrendous because you know that something bad has happened. "For the first few days I did not eat, sleep or wash. It was always at the back of my mind I would do these things when Helen came home." The police had a suspect, Ian Simms, within 48 hours of Miss McCourt's disappearance. His pub was just yards from her home and her earring had been found in the boot of his mud-covered car. Simms was found guilty of Helen McCourt's murder in February 1989 and sentenced to life. But Mrs McCourt feels she has also been given a life sentence. "I will never give up my search for Helen and every day I pray that she is found but I have had to accept that I will have to wait for that man to tell me where my daughter is. "I have nieces and my sisters are very good, but as time goes by I see them getting on with their lives and getting married and having children and it hurts me because I know Helen loved children." "On my mum's 80th birthday we had a party and there was pictures of her with her grandchildren and all I could think was that Helen should have been there." She has quiet resolution in her feelings towards her daughter's killer. "It is not my right to forgive him for what he did to Helen. Only she could do that. "I can only forgive him for what he has done to us as a family and I'm not ready to do that."